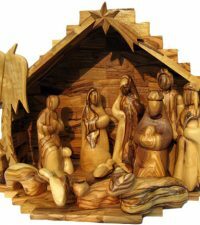 DescriptionNo Christian home or church should be without a Nativity scene; telling the story of the true meaning of Christmas is now more important than ever. 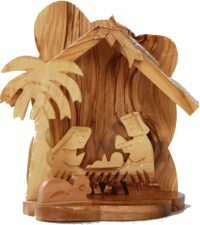 Children and adults alike enjoy this beautiful set, which includes figurines hand carved of olive wood by the few Christians still living in the Holy Land. 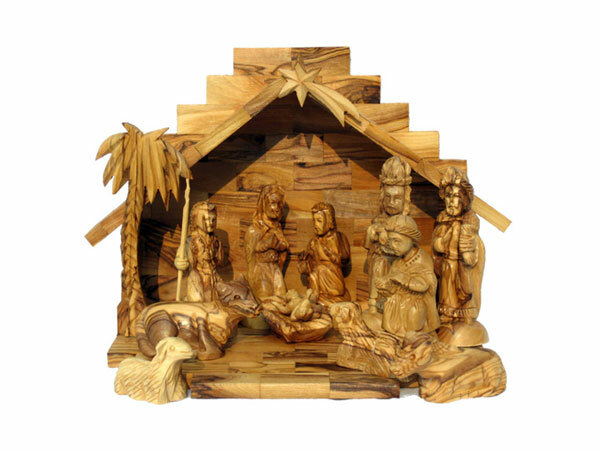 This heirloom quality set includes Joseph and Mary, three Wise Men, and a Shepherd with a lamb, each 3-4 inches in height. 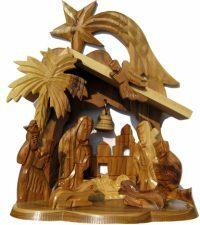 Baby Jesus and the manger measure 2 inches. Each of the animals, which include a sheep, a cow, and a donkey, measure 2-3 inches. 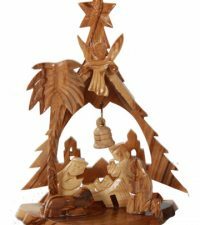 Each figurine is beautifully detailed, and each can be used to share the Christmas story year after year.